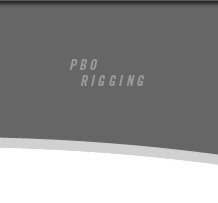 POWERLITE PBO Rigging is a breakthrough in standing rigging technology — a custom engineered synthetic cable system developed as a practical drop-in performance enhancement that replaces wire or rod rigging. Now any sailboat 22' to 50' can take advantage of the substantial performance gains of PBO rigging. Dependability: PBO fiber has over 10 years of proven longevity on standing rigging under the harshest conditions. POWERLITE cables are not only stronger, but lab tested to demonstrate a fatigue life over 3X that of wire and 6X that of rod.